For shipments with a value of more than €6000, the registration to the REX - Registered EXporter system is mandatory. 4. Exporter to draft a "Statement on origin"
About the filling of the Statement of Origin and procedures to fulfil by the EU exporter, you may also have a look at the guideline provided by the European Commission called “Statement on Origin for multiple shipments of identical products” & the “EU-Japan EPA Guidance, Claim, Verification and Denial”. See the detailed documents under the: “To implement Section B of Chapter 3 on Origin Procedures, the following Guidance documents have been developed” part. 5. Importer to make a "Claim for preferential tariff treatment"
About the "Claim for preferential tariff treatment" made by a Japanese importer resulting in a request for more information by the Japanese Customs . And here is the explanation about the statement by the Commission, relevant are the conclusions part (as listed below). - the absence of such an explanation at the time of claim cannot lead to a denial of the preferential tariff treatment under the EU-Japan EPA. - the exporter in the EU who made out a statement on origin, when requested by the importer in Japan to provide an explanation, is not obliged to provide such explanation. 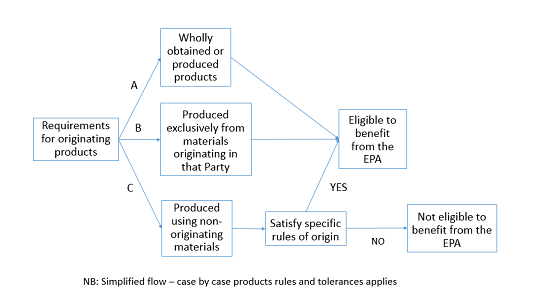 Regarding the reference made at the end of the announcement, according to which ‘When necessary, verification may be conducted based on Article 3.21 of the EPA’, it refers to a procedural stage different from the one of the claim. Please see the part concerning that verification in the EU-Japan EPA Guidance on ‘Claim, Verification and Denial of Preference’.